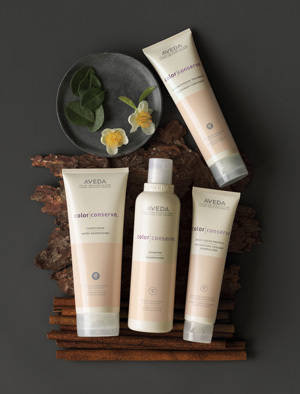 Aveda’s fade-resistant formulas are up to 99% naturally derived* for essentially damage-free results — with a signature blend of protective plant oils including organic sunflower, castor and jojoba oils that condition hair and infuse it with amazing shine. 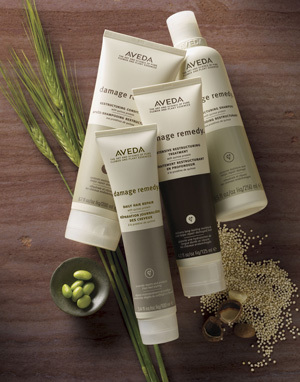 Aveda’s formulas are created with an environmental and social conscience that you can feel good about. *From plants and non-petroleum-based minerals. Choosing a new hair color that compliments your skin tone can be a bit tricky. You want to find the right color that will enhance your eyes and skin tone. The right hair color can compliment your eyes and brighten your face. A particular color may look great on someone else, but you might find that it doesn’t work well for you because of your different skin tones. For warm tones, colors with bases or red, red-orange, orange, yellow, and gold work best. For cool tones, colors with bases of blue, blue-violet, violet, green, and neutral work the best. Also, remember that staying within a few shades on the color spectrum of your natural shade looks the most natural. If you want a drastic color change, it is best to do it in stages, perhaps with highlights/lowlights added. Before adding any color, our stylists perform a consultation to determine which colors will work best with your skin tone and eye color. Your stylist will discover your needs and offer solutions to best complete your request. There are many different options for coloring your hair, depending on the desired result for color tone, intensity, and level. Depending on which hair color system used will also depend on your commitment – how often you can return to the salon to best maintain your hair color. Power your color with the color conserveTM line. This 4-step system protects color and prevents fading. 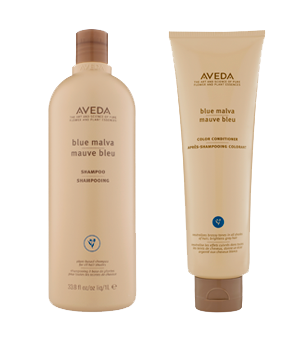 Color conserveTM line extends the vibrance of color-treated hair and protects color-treated hair from the damaging effects of sun, water, and environmental stresses. For highlights, dry or damage remedy is highly recommended in order to add protein back into the hair and keep it healthy. Damage remedyTM harnesses penetrating plant proteins to help strengthen and repair hair. Dry remedyTM is deep moisture for dry, brittle hair, instantly improving its condition by 63%. Always use a prep product with heat control! Especially when using blow dryers, flat irons, curling irons, etc. This is really going to help protect the hair from further damage. Heat protection is in many products - Smooth Infusion™ Style-Prep Smoother™, Damage RemedyTM Daily Hair Repair, and BrilliantTM Damage ControlTM. madder root, enriches red and auburn hair. We service Dothan, AL and all surrounding areas.